The National Association of Nigerian Communities (NANC) is an organisation that has been in existence since the 1970s. We started as a students union and when our pioneers ceased to be students, the union then metamorphosed into a welfare association called the NNU. The name NNU was changed to NANC in July 2004 due to a need to be in tune with modern voluntary organisation operating philosophy. Like any other organisation, NANC has had its ups and downs, but it has stood up to its challenges over time, achieving some notable milestones for Nigerians. NANC presently exists as a full welfare organisation, supporting the socio-cultural and education needs of Nigerians and Africans living in the UK. Our Mission is to create a viable and functional socio-welfare organisation and Network that will stand the test of time as we support Nigerians in the UK. 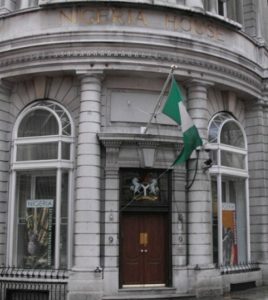 Our vision is to establish a culture of learning, care and a cohesive Community that will trigger an improvement among Nigerians and improve our image and opportunities here in the UK. One of our prime objectives at NANC is to foster closer working relationships with our host country and also with the Nigeria High Commission. Therefore, WORKING TOGETHER AS AN ASSOCIATION, we can advocate and support the welfare needs of Nigerians even as we collectively develop our members and communities. HOW DOES THE NANC OPERATE? All branches of the NANC have varying but similar operating policies, all of which are geared towards meeting the welfare and education needs of Nigerians and other Africans living in the UK. Our activities are designed to improve and promote Nigeria and Africa. ©Naijazine Media 2017 Copyright. All Rights Reserved.